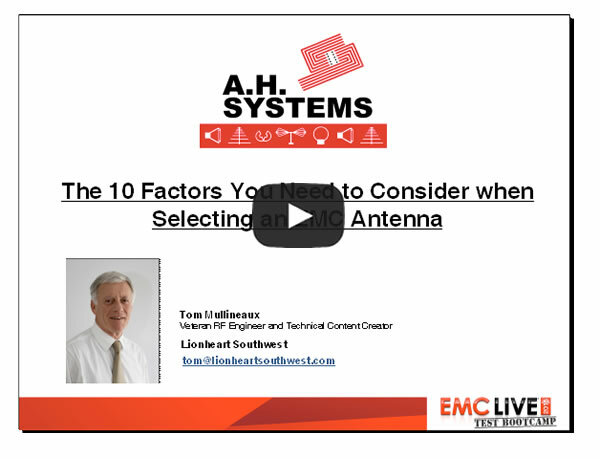 Webinars - A.H. Systems, inc.
A simple guide to determining the correct choice of antenna to match the test required. 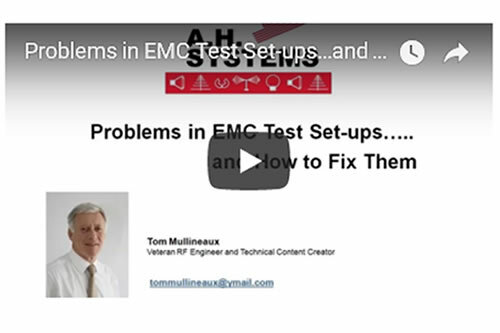 RF veteran Tom Mullineaux in collaboration with the experts at AH Systems presents the basics and a framework for beginners, as well as more advanced topics for intermediate and advanced test engineers. The antenna is one of the least understood components in an EMC test instrumentation set-up, and a poor choice of antenna(s) can lead to multiple problems. 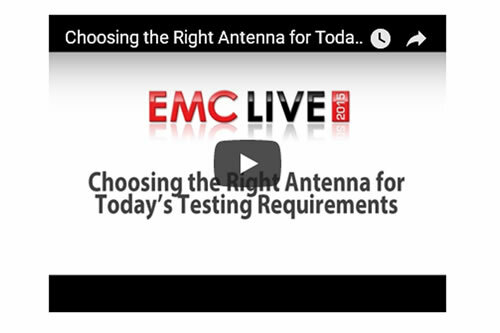 this webinar, presented by AH Systems, guides you through the key parameters that need to be considered when selecting an EMC test antenna. Fixing faults in EMC test set-ups, especially those in test chambers, can tie test-staff down for an inordinate amount of time. So start saving time and money by finding out how to identify and fix them.